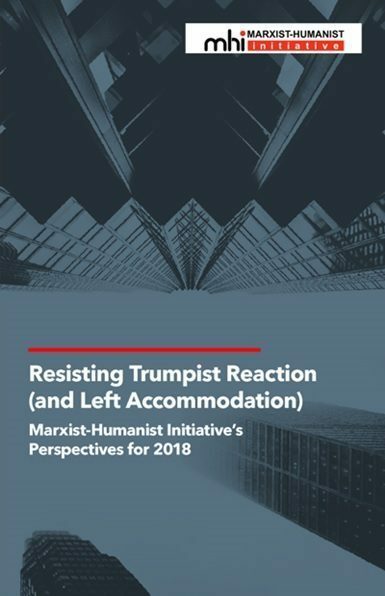 Marxist-Humanist Initiative (MHI) is attracting radical youth who are seeking to break free from the confines and agendas of the soft-on-Trump “left.” Some of these youth joined with MHI members in a public meeting to discuss how Marxist-Humanist principles can aid the Resistance and make the left a force that fights for freedom and the rights of all human beings. Presentations by five speakers were followed by full and free discussion from the floor. 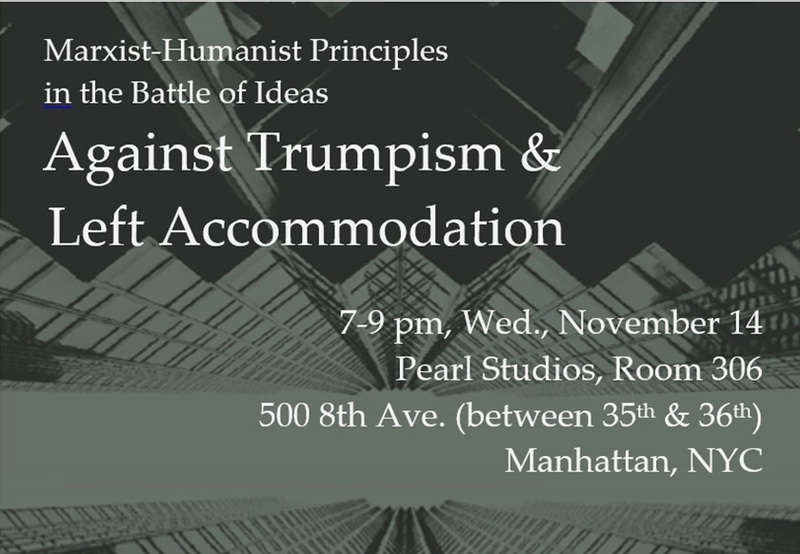 The meeting, entitled “Marxist-Humanist Principles in the Battle of Ideas Against Trumpism & Left Accommodation,” was held in New York City, on November 14. 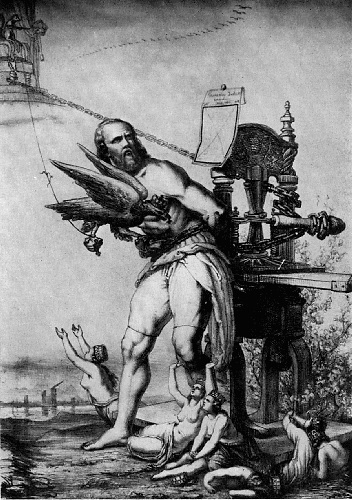 Your comments on the ideas put forward at this meeting are most welcome! If you would like to be notified of future public meetings, in New York or elsewhere, send us a note or fill out our Contact Form.